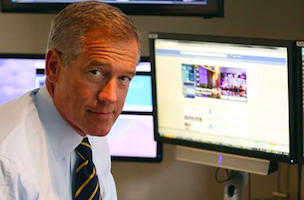 For those who missed it, “NBC Nightly News” anchor Brian Williams took part in a Facebook Q&A on the show’s page Wednesday night, answering questions for more than two hours on both his personal and professional life, from advice to aspiring journalists and reporting on security breaches to why he doesn’t drink and his favorite place to travel. Allen Henry: What’s the best advice you can give to someone whose lifelong dream has been to work for NBC news? Elaine Sheehan: What is your “normal” day like getting ready and leading up to to the live broadcast? For the full Q&A, click on over to Facebook.